The Lafayette City Council on Tuesday approved the sale of a family's property that includes a hillside memorial dedicated to U.S. soldiers killed in Iraq and Afghanistan. 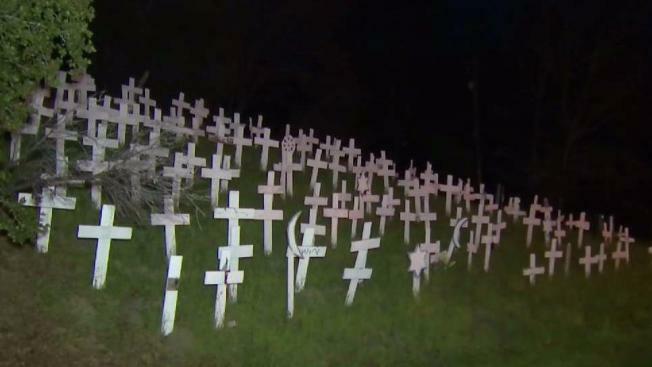 The so-called Crosses Memorial near Highway 24 in Lafayette bears a cross for every soldier killed in the two wars. The family that owns the land says it has two potential buyers, and it's not known whether the new owner will keep the crosses. The memorial's advisory board wants to replace the crosses with a permanent peace memorial.